This is the second of two parts about mental health services at Northern California Kaiser. In January 2013 a woman named “Nina” had a terrible falling out with her father. Soon after, she found out he had incurable cancer and was going to die. In the ensuing weeks, she tried to patch things up, but with the pressures inherent in the last months of a dying man, was unable to attain any form of closure. Some six months after their fight, he was gone. "People are suffering, and I fear some of my patients will commit suicide for lack of ongoing treatment." "Nina," who did not want us to use her real name for reasons of privacy, had been prone to depression. Zoloft had helped, but the now irreparable family rift left her severely depressed, with occasional thoughts of suicide. "I was in a state of constant emotional pain and confusion," she says. “It was affecting all aspects of my life." She went for an intake appointment at the psychiatric department at Kaiser Permanente’s Oakland Medical Center, with the expectation she'd be able to see a therapist for individual appointments during this severe emotional crisis. She requested those sessions, but the intake therapist told her Kaiser only offered group therapy. “I said I'm not comfortable talking about my situation with a bunch of strangers,” Nina says. “She very kindly tried to make me aware of the value of group therapy. But I knew in my heart it wasn’t where I wanted to be." Nina left even more dispirited. Over the next year, she white-knuckled her depression on her own, before having the epiphany that maybe her medication needed adjustment. She went to see a Kaiser psychiatrist and mentioned she’d been told there was no individual therapy. The psychiatrist seemed startled. She told Nina individual therapy was offered. “They probably just didn’t have the space,” the psychiatrist said. She finally did get to see a Kaiser therapist, whom she describes as “fantastic,” but who told her she could only book Nina maybe once every four weeks. At that point, Nina's expectations had been lowered to the point she was grateful to get any therapy at all. She also availed herself of a free Kaiser yoga class, which she considers to have been useful in her recovery. Her therapist, she says, is really helping her with the depression. Last year, Kaiser was fined $4 million by the California Department of Managed Health Care for not accurately tracking patient waiting times for initial mental health appointments. And now the health plan is in the middle of another controversy over its mental health care: Some of its therapists and patients say there is a dangerous lack of access to individual therapy appointments and an over-reliance on group therapy. Kaiser maintains that hiring in its psychiatric departments is up, and that patients do not have problems getting appropriate care. It points to its high rating in behavioral and mental health on the 2014 California Office of the Patient Advocate report card. In addition, it has asserted that much of the controversy has been fueled by the union representing mental health clinicians, the National Union of Healthcare Workers (NUHW), which has been embroiled in contract negotiations with Kaiser since 2010. In reporting this story I talked to some two dozen current and former Kaiser clinicians and mental health patients as well as outside therapists. The vast majority express similar complaints: While health plans are required to provide medically necessary appointments within 10 business days, Kaiser patients have to wait long periods, sometimes months, between individual therapy appointments. These critics say Kaiser is referring patients to group therapy even in cases where ongoing individual sessions are clinically necessary. The reason, the union and clinicians say, is a serious staff shortage. As we've reported, the issue came to a head this year when a behind-the-scenes blog by Andy Weisskoff, a now-former therapist at the health plan’s Santa Rosa Medical Center, detailed long waiting times for therapy appointments and the deleterious effects on both patients and therapists. 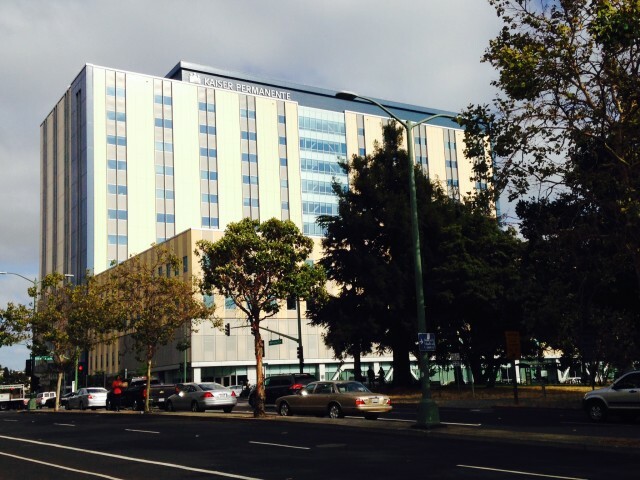 One Kaiser therapist from a Northern California facility described similar concerns. She wants to remain anonymous out of fear for her job. She is unnerved by the common practice of steering patients into groups instead of individual therapy sessions. Another therapist who worked at a South Bay Kaiser says she quit her position earlier this year because she considered the treatment of patients there "unethical." "We believe these descriptions are not reflective of the millions of mental health visits we provide each year in Northern California." "Patients that need individual therapy are not getting it,” she said. “We had to tell patients we offer group therapy. ... The patients that are the most severely mentally ill are the ones that can’t speak up for themselves, and the ones who get lost in the system. With the Affordable Care Act, we’re seeing more and more of those patients." A number of Kaiser patients also reported similar dissatisfaction with the unavailability of individual sessions. Loran Watkins’ story was typical of the complaints many patients described to me. Watkins, 53, said that in 2010 her husband was battling cancer and "desperately needed therapy to get through this. They said he could go to a group. There was no way in God's green earth he would have gone to a group. He was already a social introvert, was on six different kinds of pain medications so his ability to focus was very limited." After "pushing and pushing and pushing," Watkins says, her husband was finally given the okay to see a therapist, but only once a month. "Here you have a man actively battling cancer, was relapsing," she said. "After the seventh or eighth appointment, the therapist said he was retiring, and that there were no more appointments available." Watkins added that when her own longtime therapist at Kaiser's Walnut Creek medical center retired, she told Watkins there was no replacement available. "I asked her for a referral. She said there's no one to refer you to. The only thing I can do is they will place me in a group type setting; there's no individual therapy appointments anymore." We apologize if there are members who may have received incorrect information about the availability of services. All of our medical centers provide individual therapy as part of the wide range of mental health treatments available to Kaiser Permanente patients. We encourage our members and staff to share their concerns, and we investigate thoroughly and work to resolve any issues. We take the examples in your email very seriously. Out of respect for patient privacy, we cannot respond in the media about individual cases. Each patient’s concern is important to us and we will investigate with the information we have. We believe these descriptions are not reflective of the millions of mental health visits we provide each year in Northern California, but we recognize that we have opportunities to make our program even better and are committed to doing so. Dr. Mason Turner is Kaiser’s director of patient operations for regional mental health services in Northern California. He takes umbrage at the notion that individual therapy is the “gold standard,” as he puts it, and that group therapy is somehow inferior. “This is a disservice to the hundreds of thousands of Kaiser Permanente members -- and millions throughout the country -- who have benefited from this type of proven, effective treatment and to the mental health professionals, including our Kaiser Permanente therapists, who provide it. “There is no evidence that individual psychotherapy is superior to group therapy." I asked Dr. John Norcross, a psychology professor at the University of Scranton, if that was true. Norcross’ research is on treatment adaptations -- "how to tailor therapy for individual patients,” he says. Norcross is a “big supporter” of group therapy, but only when indicated. And group treatment is contraindicated, he said, if the patient has a strong preference for individual therapy. That can make a difference in both retention of the patient and effectiveness of the treatment. “There are dozens of studies that show we should always begin with patients’ preferences if ethically or clinically possible,” he said. I recounted to him the experience of Nina, the woman who had expressed a preference for individual therapy at Kaiser Oakland and was erroneously told it wasn’t offered. Norcross said in her case a group would not be effective. “If this woman wants 50 minutes to express and resolve longstanding conflicts, you’re not going to get that kind of opportunity in a therapy group of 6-12 people,” he said. Andy Weisskoff, the former Kaiser therapist who blogged about his experience at Kaiser Santa Rosa, wrote that only a quarter of those who were referred to groups attended one. “The assertion that groups are better than individual therapy is a little bit beside the point if they don’t go to the groups in the first place,” he says. Some patients who I spoke with amplified his concern. For example, a 60-year-old woman who uses Kaiser’s Roseville facility and suffers from panic disorder said the last time she had an appointment, the therapist told her she could be seen maybe once every three months. Instead she was sent to a group, where she says the discussions triggered her anxiety attacks. She estimated the number of patients in another group at about two dozen -- “like cattle in there, how can anyone’s needs be met?” she said. So she quit. On disability because of her anxiety, unable to tolerate medication, and with the cost of an outside therapist out of reach, she sees no available options. “There’s nowhere for me to go,” she said. Corlene Van Sluizer described the same lack of options for her sister, 71. Her sister was ordered into an inpatient facility this year after telling her Kaiser Santa Rosa psychiatrist of plans to commit suicide, Van Sluizer says. Even with a diagnosis of major depression, after being released she was told she’d have to pay for any individual therapy on her own. Instead, she was sent to a group. “It lasted 6 sessions. She got no benefit from it,” Van Sluizer says. Many non-Kaiser therapists sent me emails asserting some of their patients have been forced to pay out-of-pocket because they cannot get individual therapy at Kaiser. The well-being of our patients is our primary concern. We would expect any therapist with concerns about a patient's urgent needs to immediately respond and escalate appropriately, and we support them in doing so. Kaiser's Dr. Turner says any notion that a staff shortage is driving the choice of treatment options is untrue. “We have nearly 14 percent more therapists in Northern California than three years ago, and we are continuing to recruit and hire,” he told me. Some Kaiser mental health staff say any new hiring hasn’t kept up with the influx of patients due to Obamacare. But Turner disputes that. “Staffing increases (have) increased significantly ahead of membership growth,” he said. “Seventy percent of our therapy is individual psychotherapy." While that figure includes the intake sessions for new patients, Turner said the “bulk” of the 70 percent figure is for return visits. He called Kaiser’s system of care “multi-modal, highly integrated,” and listed medication management, crisis intervention, “evidence-based group programs,” and intensive outpatient and inpatient services among its services for mental health. Turner says patients can get individual therapy at more frequent intervals if they, in consultation with their therapist, consider that is the best course of treatment. He also put the responsibility for arranging appropriate care on therapists. Kaiser Oakland psychologist Melinda Ginne says she tried that, to no avail. She and other Kaiser clinicians eventually went to California's Department of Managed Health Care with their complaints. Ginne works with seniors and patients who have serious physical ailments like cancer. She sent me the email she wrote to Kaiser managers last September. Marta Green, the California Department of Managed Health Care’s (DMHC) deputy director of communications and planning, said whether Kaiser is in violation of regulations would depend on whether it displayed a pattern of steering patients to groups instead of medically necessary individual sessions. "If the medically necessary care to treat an enrollee's condition is an individual therapy session, then the plan must make that session available within a clinically appropriate timeframe and comply with the regulatory timeframes" of 10 business days,” she wrote in an email. However, if a physician or triage professional, using professionally recognized standards of practice, determines that a longer waiting time will not have a detrimental impact on a patient, that period between appointments may legally be extended. Green said if Kaiser can't provide individual therapy to a patient that needs it, then Kaiser would be obligated to partially pay for outside therapy. Any Kaiser enrollees who think this situation may apply to them should file a claim with Kaiser at the same time they ask the DHMC for a free independent medical review. Against this backdrop of reports of patient and therapist dissatisfaction, Kaiser maintains that staffing complaints are driven by its four-year-plus contract negotiation with the National Union of Healthcare Workers, which represents many of the therapists. In its statement to KQED, Kaiser said the union "has not been cooperative in finding solutions that will enable us to meet our members' needs." In particular, Kaiser has "entered into an agreement with Value Options," a network of mental health providers, to "make sure that our members have timely access to therapists when we need flexibility in staffing." But NUHW "has so far not agreed to this solution -- despite the union making it clear that its members would not be able to take on the extra demand." Seavey says Kaiser's clinicians have tried to get Kaiser to address staffing shortages for years. “Kaiser has simply turned a blind eye to them,” he says. A follow-up DMHC report to the one that resulted in last year’s $4 million fine is due in the fall. The DMHC’s Marta Green said it will take into account any complaints about long waits for follow-up appointments to individual therapy.